Why wait for fossil fools when we can build renewables ourselves? It turns sunlight into power. It doesn’t dump carbon dioxide pollution into our fragile atmosphere. With battery technology, sun power can be stored for later and deployed in microseconds. And now, it's cheaper and easier to build than dirty coal. While the federal government has been doing its best to keep polluters in power, thousands of everyday Australians have been making new renewable energy developments possible with their super, and enjoying solid returns. 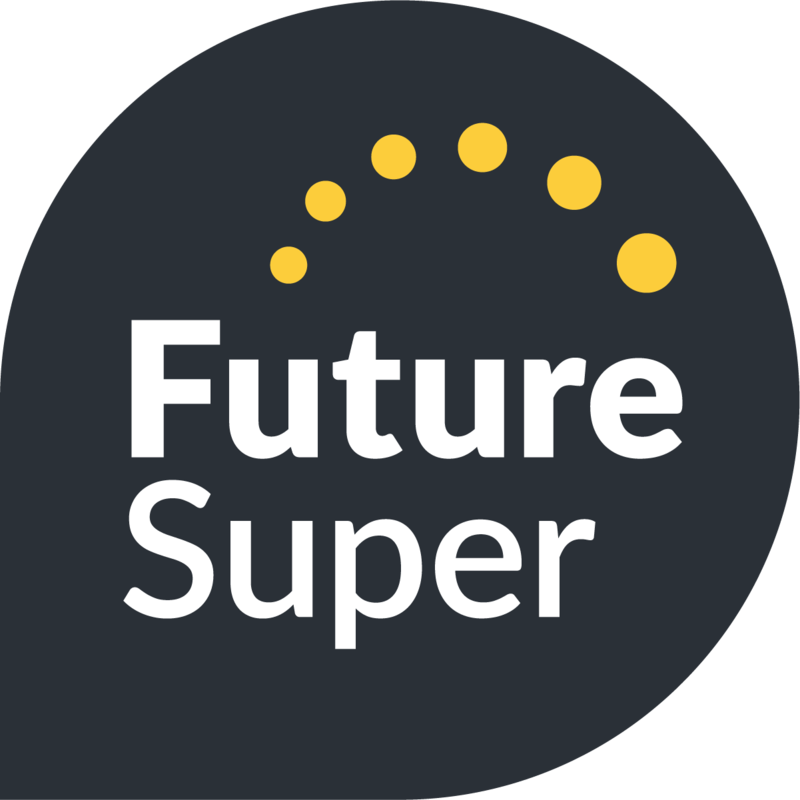 At Future Super, a portion of our member’s super savings are pooled together and put to work buying solar farms, lending to renewable developments and investing in cutting-edge cleantech companies. Where possible, we arrange for members to visit new solar farms when they officially open. And now with Renewables Plus - the new growth option by Future Super - you can choose to have up to 20% of your super invested in renewables. Last year Future Super teamed up with boutique infrastructure fund Infradebt to create the Infradebt Ethical Fund (IEF). With an initial cornerstone commitment of $50 million from Future Super, the IEF lends to infrastructure projects that make a positive and sustainable difference to our society. Here’s 3 IEF solar assets Future Super members invest in through their super. Currently under construction, the Swan Hill Solar Farm will be one of the highest capacity solar farms in Victoria. With more than 50,000 solar panels sucking in sunlight for 25 years, it’s expected that the solar farm will avoid approximately 1 million tonnes of carbon emissions over its lifetime. Swan Hill Solar Farm is anticipated to pump out about 37,700 MWh in the first year alone, which is enough to power the equivalent of approximately 6,300 Australian homes. Despite policy uncertainty at the federal level, regional Victoria is set to experience a boom in the development of renewable energy generation, with more than eleven large-scale solar farms currently committed or proposed for the state. The ACT’s Amaroo School has 1,300 students from preschool to year 10. What makes this school unique (and impressive) is how renewable energy has been incorporated into its design. They’ve got solar hot water, natural ventilation for cooling, a wind turbine, water storage tanks, and a tasty 600 kW solar photovoltaic array which was conceived and developed by Solar Choice - the latter of which attracted debt finance (aka a loan) from Future Super. Thanks to new research by UTS, we now know there’s more than enough money in super to ensure that within 12 years every child in Australia could be learning at a school powered by 100% renewable energy. While the global pension average for renewable investment is only at about 2%, Future Super is working to accelerate that shift with responsible, profitable renewable investments. Chinchilla Solar Farm is a 19.9MW solar farm under construction 300 kms northwest of Brisbane, Queensland. It's being developed by Impact Investment Group (IIG), with whom Future Super has invested in numerous other solar farms through their Solar Income Fund. When Chinchilla Solar Farm is complete, it is expected to power the equivalent of 6.700 average Australian homes. How can I help accelerate renewable energy in Australia? Research by UTS shows just 7.7% of all super could get Australia's power sector to 100% renewables by 2030. Future Super's aim is to empower everyday Australians to grow their super and accelerate Australia's clean energy transition at the same time. Now, in an Australian first, you can join a super fund which has a 20% renewables investment target. If you haven't joined Future Super yet and want more of your super investing in renewables energy, you can make the switch in just 2 minutes today. For current Future Super members, simply head to your member portal to easily switch from Balanced Growth to Growth (Renewables Plus).